Searching for a diamond may seem like a daunting task, so we here at Inter-Continental Jewelers understand and have compiled a convenient list of tips to consider when selecting the right diamond. Keep these in mind and your diamond search will be a breeze. 1. Do your research first. 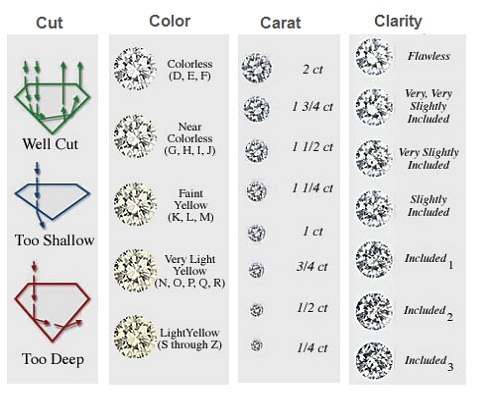 Get a little background information on diamonds (i.e., the 4 C's, shapes, how they are graded, who they are graded by, what inclusions to avoid, etc.). 2. Set a budget. 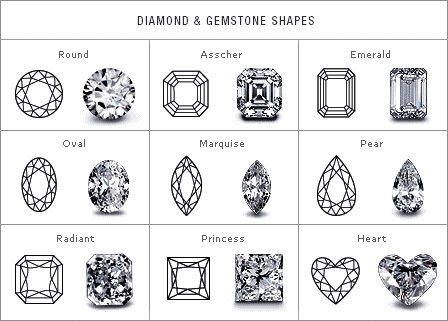 Once you have a set amount of dollars to work with, this will help narrow down what type of diamond you can afford. 3. Establish your preferred carat size, color, clarity, cut, etc. that will fall within your budget. Remember that each criteria factors in to the price. To find the best diamonds in Houston, use our handy Diamond Search tool. Use the filter to select your budget range and diamond criteria (shape, carat, color, clarity). Access thousands of diamonds, and select the perfect diamond for you. Feel free to contact us if you need help or can't find what you're looking for.